Freeway Fleet Systems has seen users of its software double in 2018 as transport operators make the switch from paper to digital. The supplier of systems for vehicle maintenance and asset management said that it has witnessed an upsurge in interest for its mobile apps, as operators demand more accurate and visible information to transform its fleet management and meet new digital compliance regulations. Freeway’s software platform replaces paperwork all the way from vehicle inspections to workshop job sheets, stock management and parts ordering with mobile devices linked to a central system providing live management information. Freeway believes the instruction of the UK’s DVSA’s ‘Earned Recognition’ scheme earlier this year has been an important driver in the move to digital. 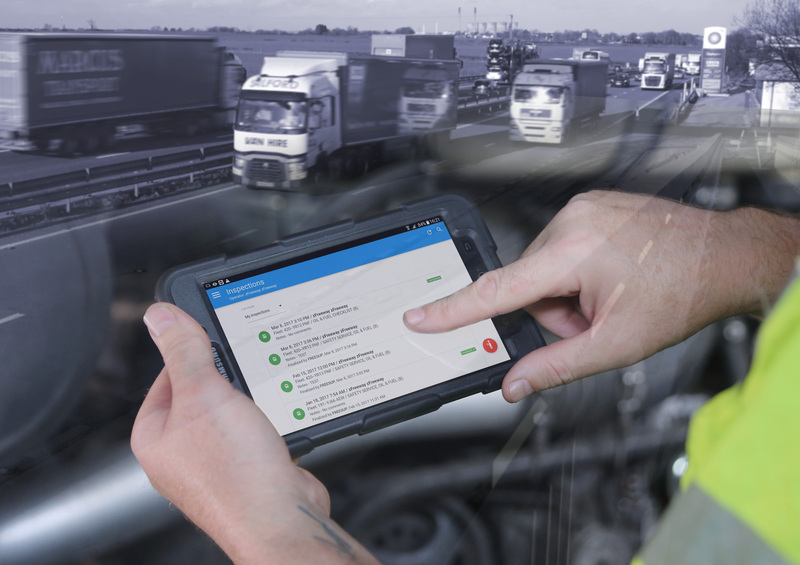 “With the DVSA Earned Recognition scheme set to simplify the whole process of compliance, Freeway’s customers realised they already has a digital system in place and together we have worked on a series of software enhancements to make the management of Earned Recognition as easy, seamless and automated as possible,” Tandy adds. Freeway states that it has seen growth in use of its systems amongst existing UK and Irish customers such as Stobart Biomas, Gregory Distribution and London bus operator Abellio, with truck and bus fleet operators, McBurney’s having recently adopted the software. With Freeway, functions can be centralised or devolved depending on the business model, but either way Freeway provides a central and immediate repository of comparative data that drives efficiency as the business expands. The fully integrated suite of productivity apps replace paper records with digital capture of data for tasks such as time sheets, job-cards, stock-check sheets, vehicle inspections, and driver inspections.